Before I purchase i need to have an answer. when i perfectly adjust files at the begining in the timeline all clips start fine and they match perfectly. After a few minutes files on the timeline don’t much anymore causing a drift that i have to fix manually. 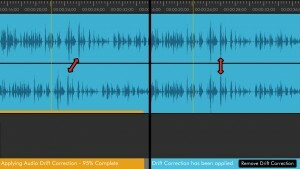 My question is : will Pluraleyes fix those drifting problems for the audio alone or for audio + video. If so, does the software stretch each file separatly so they match exactly with each other from the begining till the end ? The tutorials I’ve seen on the web deal only with aligning files to match but they never mention the process. Sorry about the very late response. 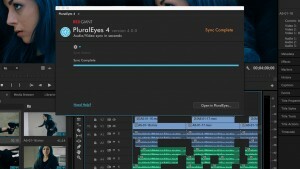 I have found that PluralEyes does match speed of audio with video. What you’re experiencing is the same sort of audio drift that I have experienced. Especially when using a Zoom that was recording to 44100 Hz and the camera recording video at 48000 Hz. Pluralize can do multiple timelines all at one time, as long you pull in all of the datasources / angles when lining things up.